What are Azendoo Task Boards? Learn what Azendoo task boards are, and how they can be used. 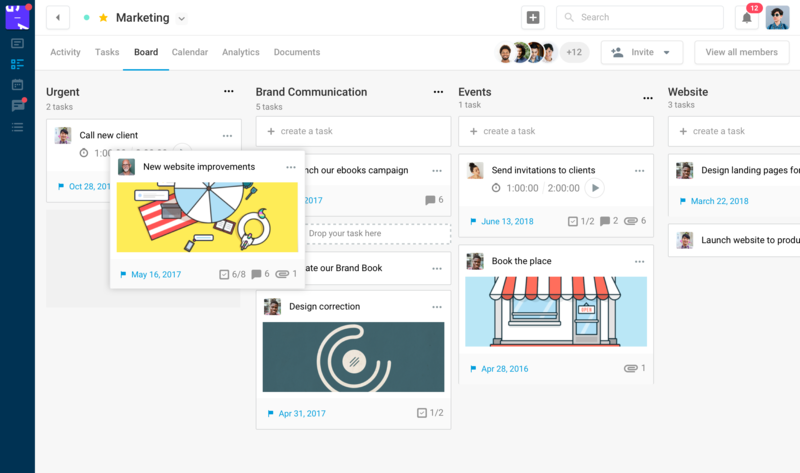 Azendoo boards are views of your tasks. Boards allows you to visualize your team progress on processes inside subjects. They are also great for kanban and scrum project management methodologies. Azendoo Boards are available on each subject and each workspace member have their own personal board per workspace. Boards are a view of your tasks, meaning that the tasks on the board are the same that the task in your todo lists, whether they are subject’s todo list or personal todo lists. Each column is a section, and the tasks below sections in the task list view are the same ones that are displayed below the below each column in the board view. That also means that any change that you make to the task list will be reflected in the board view, and vice-versa.